Hi, I’m Dr. Steven Masley. I empower individuals to achieve optimal health and wellness with cutting-edge medical information and the latest nutritional advice. I want to help you to be mentally sharper, quicker, more productive, and to assist you in preventing heart disease and memory loss. Get My Better Brain Shopping Guide & receive my blogs and recipes, FREE! 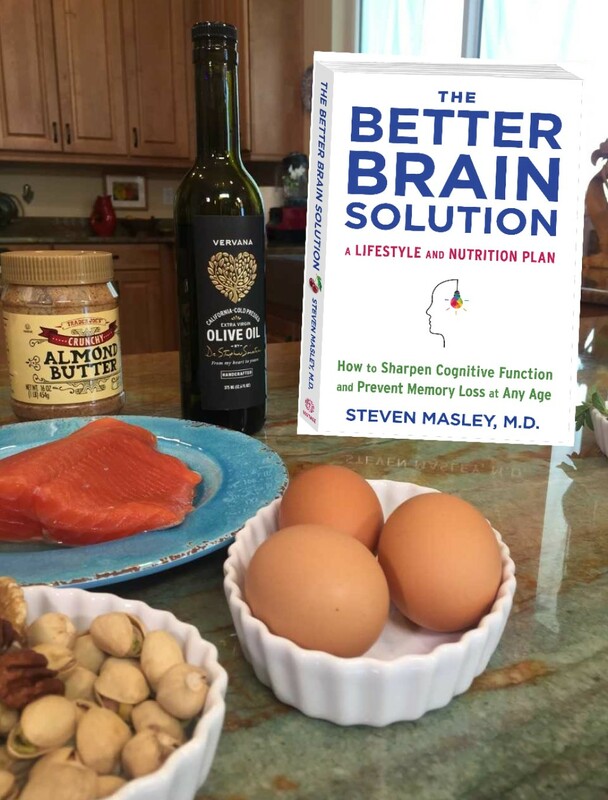 Sign up below, and you will receive my Better Brain Shopping Guide– the top 12 foods you should buy at the store to boost your brain performance and the ones you must avoid to protect your brain. Just enter your name and email below and I will send it to you! How to start now – AT ANY AGE – to REVERSE and PREVENT INSULIN RESISTANCE of the BRAIN, SHARPEN COGNITIVE FUNCTION, and AVOID MEMORY LOSS. 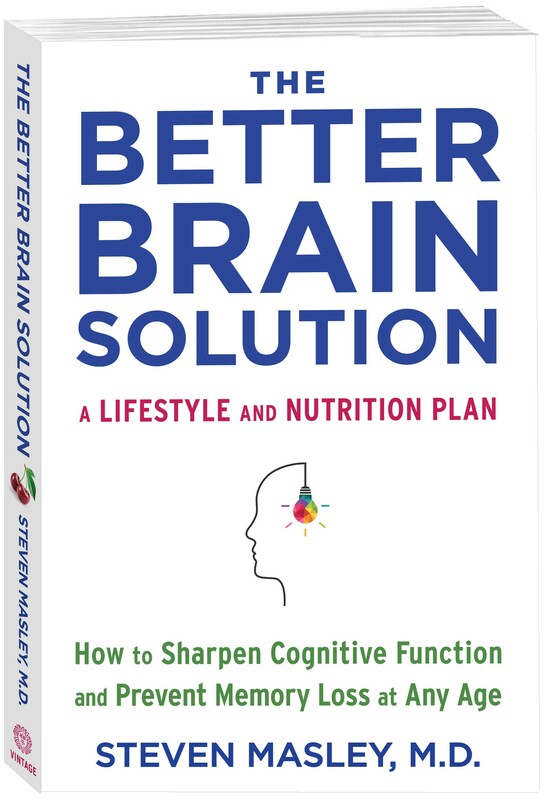 GET SMART ABOUT YOUR BRAIN HEALTH NOW! 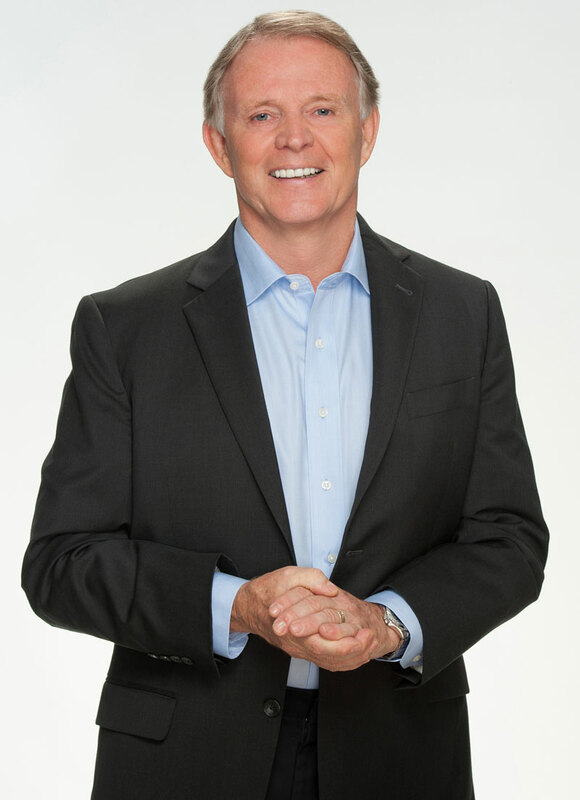 Through his bestselling books, successful clinic, PBS programs, thriving online community, and educational outreach, Dr. Masley inspires a new generation of enlightened and empowered health care consumers to take control of their health through knowledge and direct, intentional participation in the care they receive. His practical approach toward educating consumers about their health, treatment options, nutritional regiments and scientific research provides a roadmap for thousands of individuals to achieve optimal health, and live life to its fullest potential. Click below to get free actionable, health-building information and advice to drastically improve your health at any stage, and at any age.